Your precious pet has stolen your heart - now both you and he/she are prisoners of love. 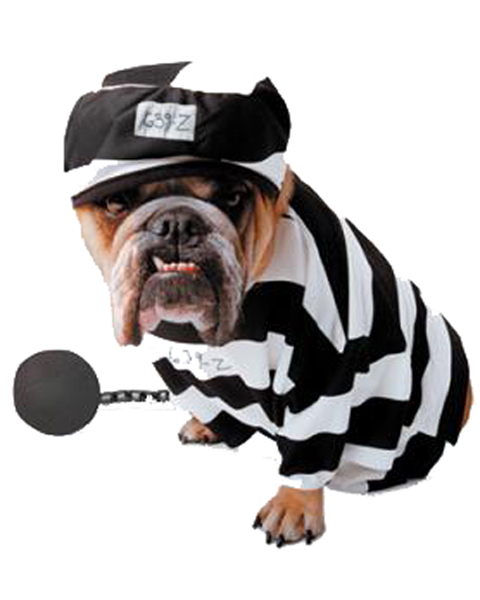 Our licensed Prisoner dog costume features a black and white striped shirt, pants and hat. Also included are a ball and chain.